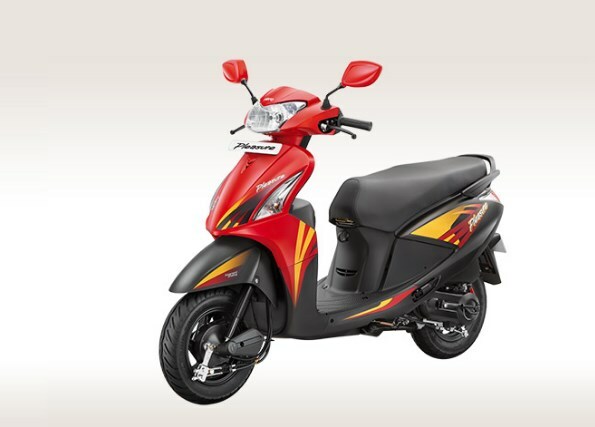 Hero MotoCorp’s most affordable scooter, the Pleasure, is set to arrive in a new avatar. The bike was spotted with Bollywood actor and brand ambassador, Alia Bhatt, during the television commercial shoot. The upcoming Hero MotoCorp Pleasure was spotted during the TVC shoot, thus hinting that the launch is not far away. The new model would feature revised styling. The upcoming Hero Motocorp Pleasure, mounted on a rig, was seen with a massive visual overhaul. The new styling features revised fascia and body panels. However, the hardware specifications aren’t too different from the current model. In terms of styling, the fascia now gets a new headlight design that is accompanied by brushed silver surrounds. The internals aren’t visible in the photographs although it wouldn’t be incorrect to expect a full LED headlight on the upcoming model. The redesigned apron gets a brushed silver panel that occupies the space between the blinkers. Surprisingly, unlike the outgoing version, the upcoming Hero Pleasure does not get body coloured enclosures for the rear view mirrors. The body coloured front fender can be seen with the IBS (Integrated Braking System) logo – Hero Motocorp’s tag for combi-braking tech. The side panels also feature the silver garnishing along with the Pleasure branding while a black pillion grab rail and rear panels add a contrast to the visuals. Mechanical specifications are unlikely to change as the BS-VI norms are almost a year away. Thus, a 102cc single-cylinder air-cooled BS-IV compliant engine that delivers 6.9 bhp of power 7,000 rpm and 8.1 Nm of peak torque at 5,000 rpm would perform propelling tasks. Anchoring tasks would be performed by 130 mm drum brakes on both wheels while the safety net of CBS would come as standard. Shock absorption hardware would include Bottom Link with Spring-loaded Hydraulic Damper at the front and Unit Swing with Spring-loaded Hydraulic Damper at the back. The base variant would feature steel wheels while the more premium version would ride on alloys. Both options would be shod with 90/100-10 section tyres. The existing model retails for INR 45,100 (steel wheels) and INR 47,100 (alloys). Hero MotoCorp would aim to keep the prices in the same range. The outgoing version retails for INR 45,100 (steel wheels) and INR 47,100 (alloys) – both ex-showroom Delhi – and Hero MotoCorp would target to introduce the new model around the same levels. The new design would help the Hero Pleasure to compete against its rivals like the Honda Activa-i, Suzuki Let’s, and the TVS Scooty Pep+. 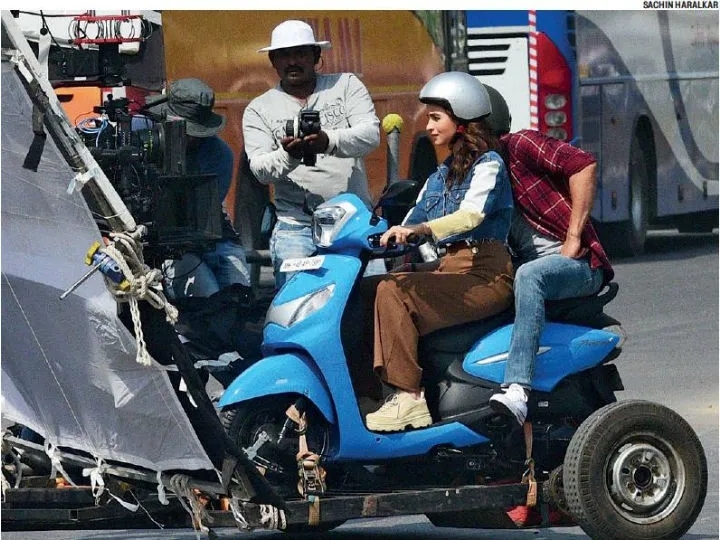 Given that the scooter was spotted during its TVC shoot, it shouldn't be long before we hear an announcement from Hero MotoCorp.